Savage and Son has worked on some of the most technical plumbing and HVAC projects for commercial clients in the region. Some of our commercial projects include: hospitals, medical buildings, casinos, hotels, schools, industrial process piping, industrial buildings, office buildings, electronic plants, manufacturing plants, detention facilities, food processing plants and water features for many types of business. 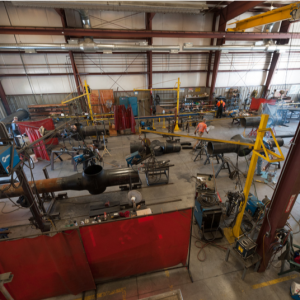 Savage and Son, Inc. is a full service process and industrial piping contractor that will self perform field installation with the support of our new “state of the art” 10,000 square foot fabrication facility. High purity stainless systems are our specialty. Our skills encompass the entire spectrum of process/industrial piping from high purity food grade stainless piping systems to large steel slurry pipe for mining operations. We know that time is money to the owner and general contractor. With Savage’s many years of experience and local family business philosophies, everyone involved wins when Savage and Son is on “the team.” We facilitate and install high-powered steam and are confident in our ability and qualifications to do the work. Our clients continue to do work with us because the quality of our craftsmanship is second to none. 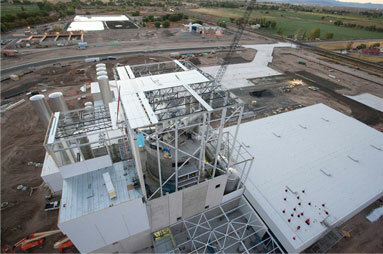 Our years of experience allow us to be cognizant of the needs of the industry. We are sure to not disturb your guests as we do our work – we want them to continue to have a pleasant experience with you during construction. In addition to repairs and maintenance, we are also experienced in remodels. Our decades of experience allow us to give you the guidance and direction that is often needed for these projects.Our years of experience allow us to be cognizant of the needs of the industry. We are sure to not disturb your guests as we do our work – we want them to continue to have a pleasant experience with you during construction. In addition to repairs and maintenance, we are also experienced in remodels. Our decades of experience allow us to give you the guidance and direction that is often needed for these projects. Savage and Son, Inc. is the “Go-To Contractor” for medical gas systems in Northern Nevada. Our medical gas installers are certified and experienced in all aspects of medical gas systems including, piping, outlets, compressors and pumps, manifolds, regulators, alarms and back feeds. There is no room for mistakes with medical gas installations. Savage and Son, Inc. installers have experience in all types of shut-downs, back feeds, equipment installation and trouble shooting. Our past clients for medical gas systems include: Renown Regional Medical Center with 30 years of service including work in the new Tahoe Tower, and St. Mary’s Regional Medical Center with 50 years service including the new medical office building. It is our duty to protect and safeguard the public’s health by careful installation of water, sewerage and fuel gas systems. As union trained professional journeyman plumbers we complete each job with the utmost care and professionalism. We are available 24/7 to make emergency repairs. 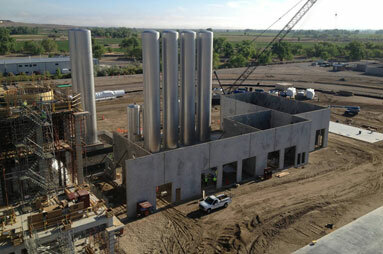 Installation and fabrication of all HVAC and Industrial related piping from 1/4″ tube to 30′ pipe. 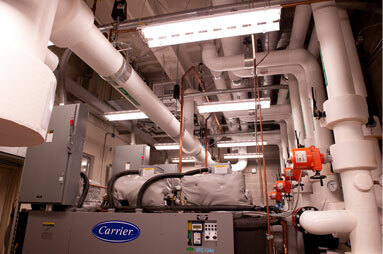 Savage and Son, Inc. works as a Prime Mechanical Contractor coordinating the needs for HVAC systems. Savage & Son, Inc. has extensive experience in all aspects of HVAC systems including chilled water systems and chillers, boilers and hot water piping, steam systems refrigeration, sheet metal and controls. 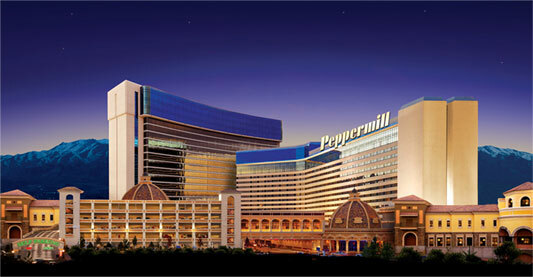 We have most recently worked on the largest projects in the Reno area including the Peppermill Tuscany Tower, Renown Tahoe Tower, and the University of Nevada, Reno’s Molecular Science Building. Savage and Son is the go-to choice when it comes to mechanical piping and plumbing fabrication in northern Nevada. Our 10,000 sq. ft. fabrication shop is the largest in the area. This allows us to fabricate all types of piping systems locally. We provide our customers a complete review of routing, materials, specifications and engineering standards for the system being built. Both the owner and/or the general contractor can rest assure that we will lead the installation and eliminate any conflicts or issues prior to completion. Savage and Son provides all the necessary steps to make a project successful. Our pre-construction services include conceptual estimating, interpretation, option evaluation and budget control. Savage and Son, Inc. can work directly with project owner’s, or design/assist with the owners architectural/mechanical team to expedite the design process. Our goal is to assure the most functional, cost effective, practical strategy for a successful and fully maintainable building system. Local experience as a lead in the mechanical field can help your project work through the permit process, local codes, climate considerations, equipment selection and support, service and warranty considerations. We take pride in what we do and assure you that we will satisfy your needs. Savage and Son will sit down and collaborate with the owner, operators, architects, consultants, and other contractors to review all stages of the planning and development of the project from conceptual design, schematic design, design development to construction documents. With Savage’s continued success of insuring all stakeholders are guaranteed that both quality control and timeliness is always maintained to insure the owner and their operation is quickly up and running. Working with owners to assure the most functional, cost effective, practical strategy for a successful and fully maintainable building system. Savage and Son, Inc. can work directly with project owners, or design/assist with the owner’s architectural/mechanical team expediting the design process is our goal using our local experience to your benefit. Pre-construction services include conceptual estimating, interpretation, information and advice, option evaluation and budget control. Local experience as a lead in the mechanical field can help your project work through the permit process, local codes, climate considerations, equipment selection and support, service and warranty considerations. Our CAD department utilizes the latest releases in AutoCAD, Revit, Navisworks and Trimble software for our plumbing and piping drawings. 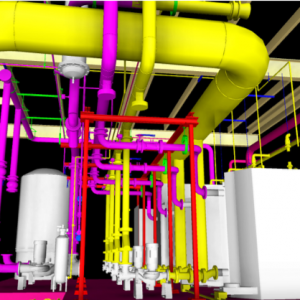 Our staff has over 25 years of field experience to design, draw and electronically coordinate the plumbing and piping systems in 3D with all of the other building components. Construction conflicts with other trades are easily resolved in the virtual world long before construction begins saving time and money during the project construction. What is the process for getting a quote from Savage and Son for a project? Please give us a call at (775) 828-4193 or email at info@savageandson.com us with a project description – we value the opportunity to discuss the project with you and provide a fair estimate to you free of cost. Contact us no matter the size of the project you’re working on. Yes, we handle this all the time. Even if you don’t have all of the information yet, please give us a call so we can review your idea and discuss how we can be helpful. Do you have the capability to design our project? Yes – we have years of experience under one roof, and engineering resources available. We also have CAD capabilities and can provide drawings should the project call for it. Please contact us to let us know how we can help. What other work do you do besides service plumbing? We’re able to provide remodels across many industries, design and custom fabrication for job-specific needs.